WHAT’S SO SPECIAL about ExTiX and especially the new version from 170508? 3. 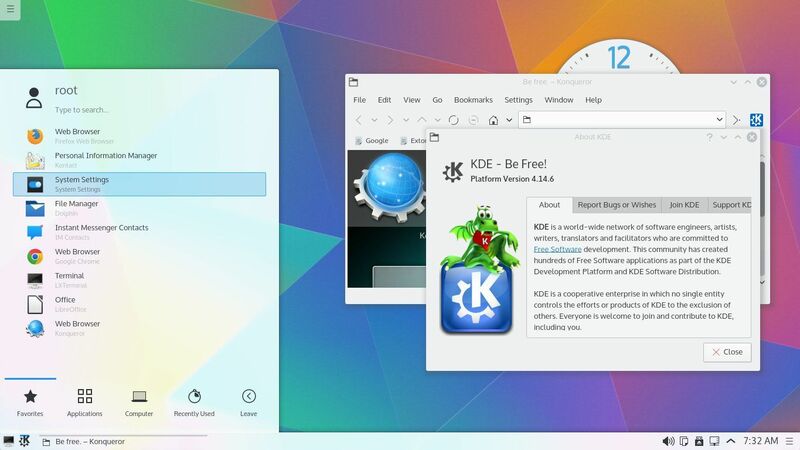 ExTiX KDE is now more stable than ever. 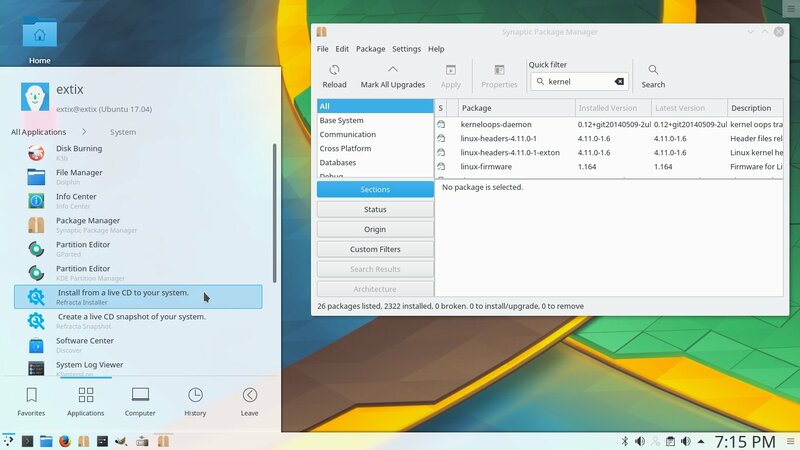 All packages have been upgraded to the latest version by 170508. 4. I’ve replaced kernel 4.9.0-11-exton with kernel 4.11.0-1-exton (Kernel.org‘s kernel 4.11-rc8). 6. 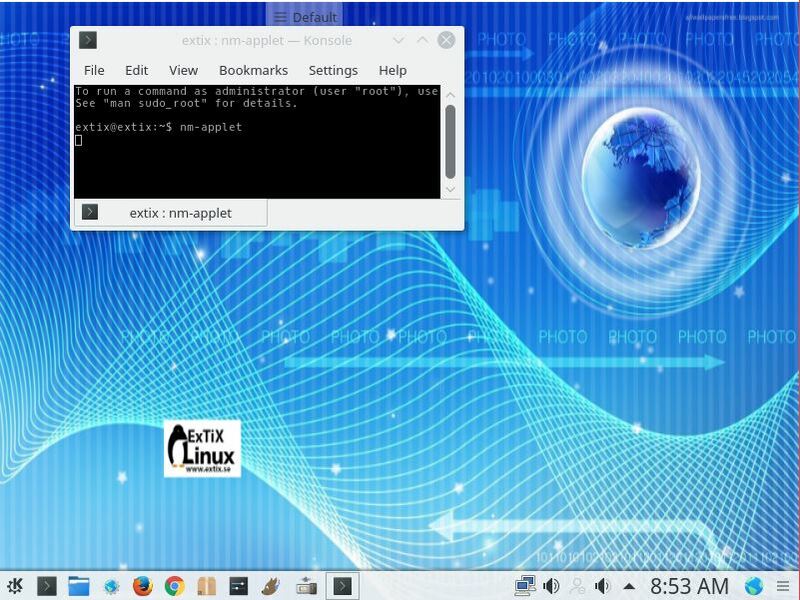 The best thing with ExTiX 17.5 is that while running the system live (from DVD/USB) or from hard drive you can use Refracta Tools (pre-installed) to create your own live installable Ubuntu system. 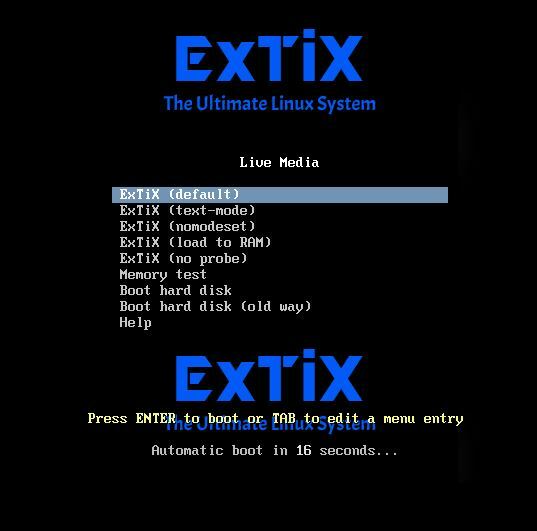 You can run ExTiX live as root (superuser) or as the ordinary user extix. Log in from Slim‘s Login Manager as root with password root or as extix with password live. 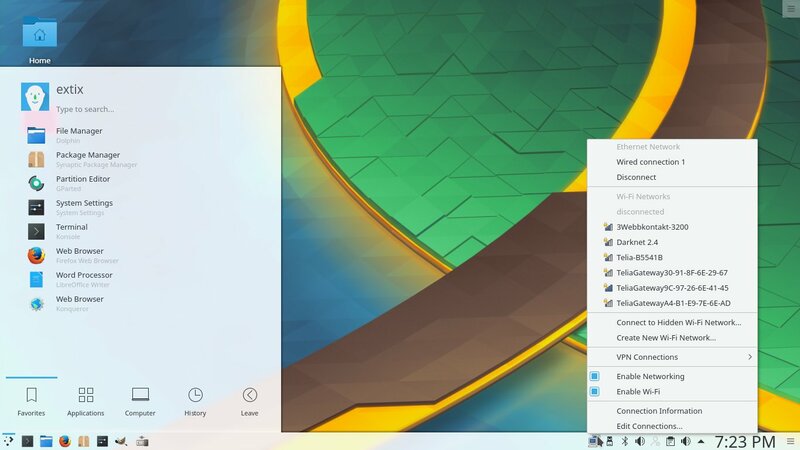 After booting ExTiX 17.5 live (from DVD/USB) you will end up in KDE 4.16.12 logged in as the ordinary user extix. During a hard drive installation you will get the opportunity to create your own normal user. 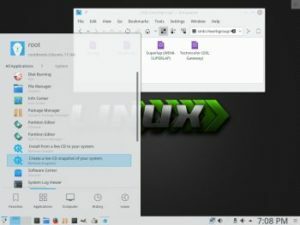 When logged in as extix you can use Sudo to become root. (Command: sudo su). NOTE: On certain computers it can happen that you end up in console mode when the boot process is over. Then just log in as root or extix and run the command startx. You will then enter X and KDE 4.16.12. This will most certainly happen if you use Boot alternative 4 (load to RAM). 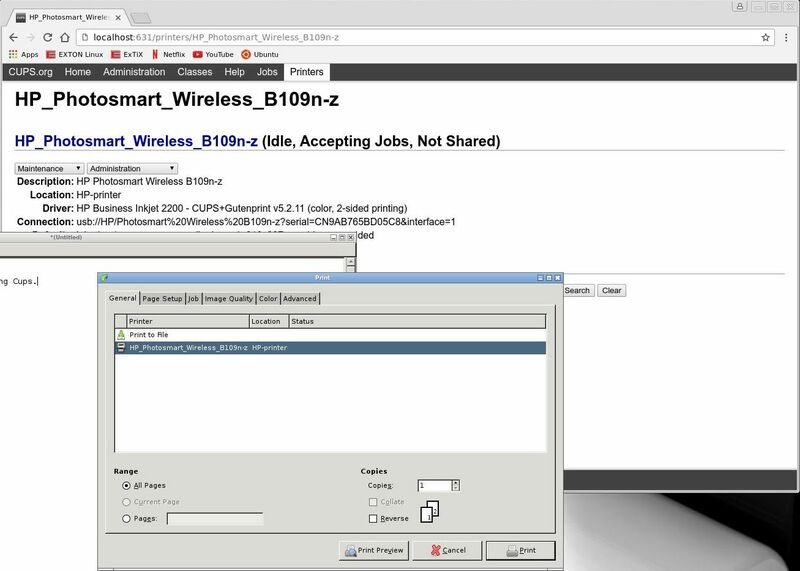 ExTiX 17.5 uses NetworkManager. 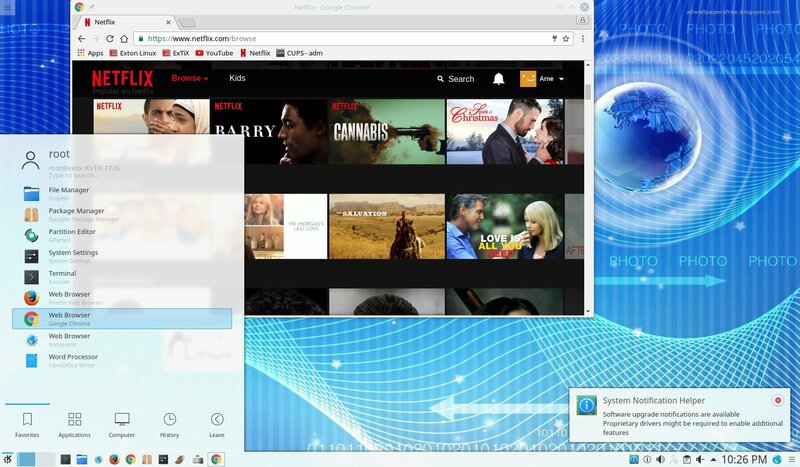 You can use Internet immediately if you have a wired connection. 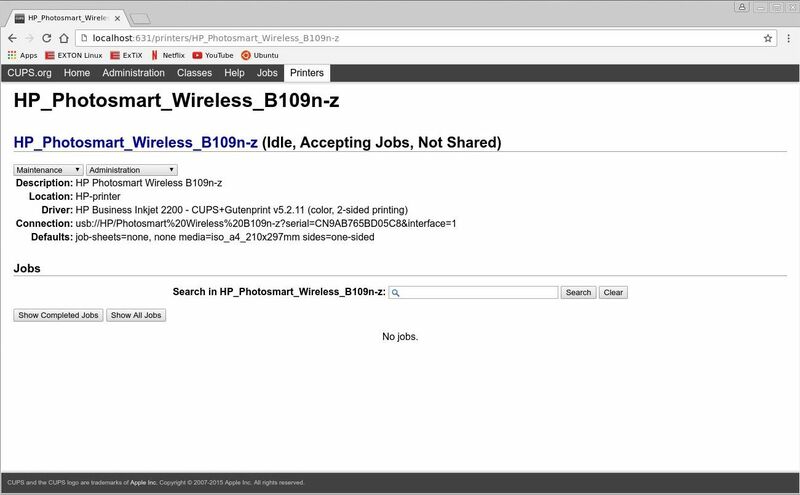 To connect wireless you’ll have to start the NetworkManager applet (nm-applet). Watch this screenshot. 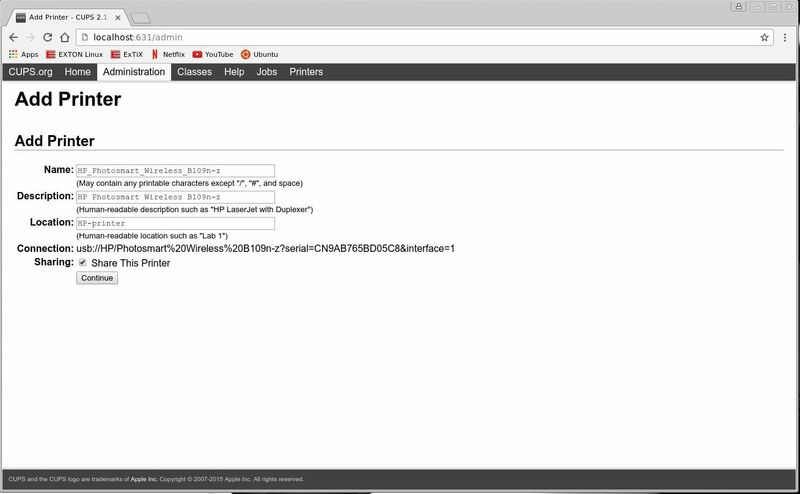 If you still can’t see the applet you can always start up a terminal and run the command nm-applet – watch this screenshot. 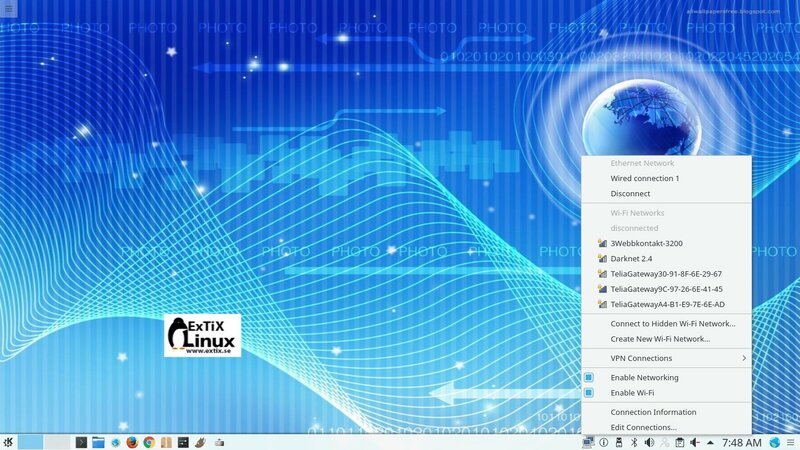 ExTiX KDE 17.5 runs very well live in VirtualBox and VMware. You may want to install Spotify in ExTiX. Just go ahead. It’s very easy. Follow this instruction for Ubuntu. When running ExTiX 17.5 live or from hard drive you can just install Spotify with the command sudo apt-get install spotify-client. 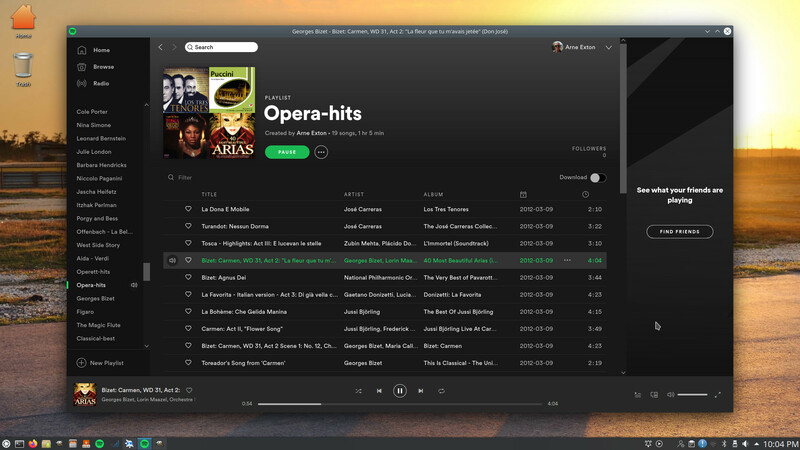 Watch a screenshot when Spotify is running in ExTiX KDE. 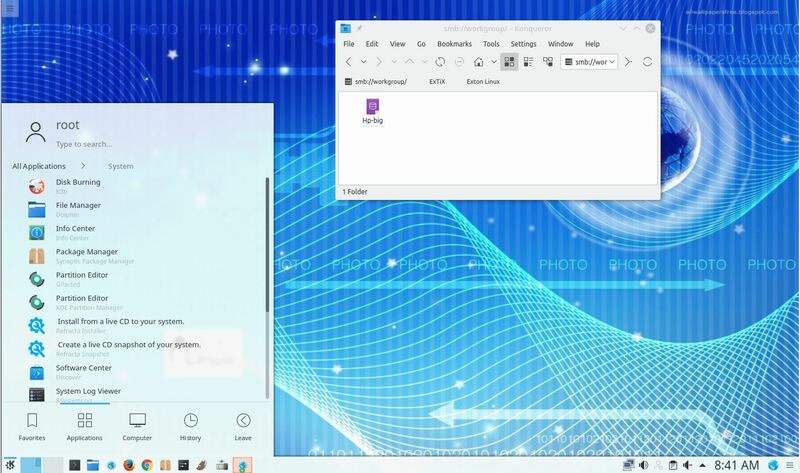 Samba work very well in ExTiX KDE 17.5. 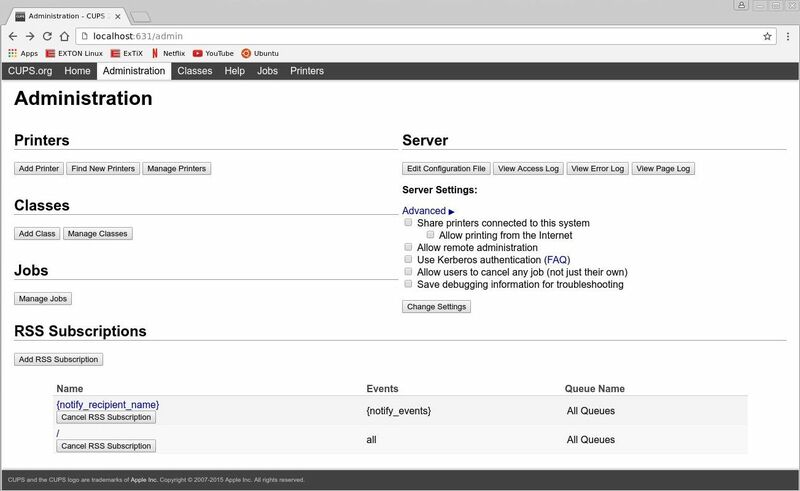 Just start Konqueror and go to smb://workgroup. 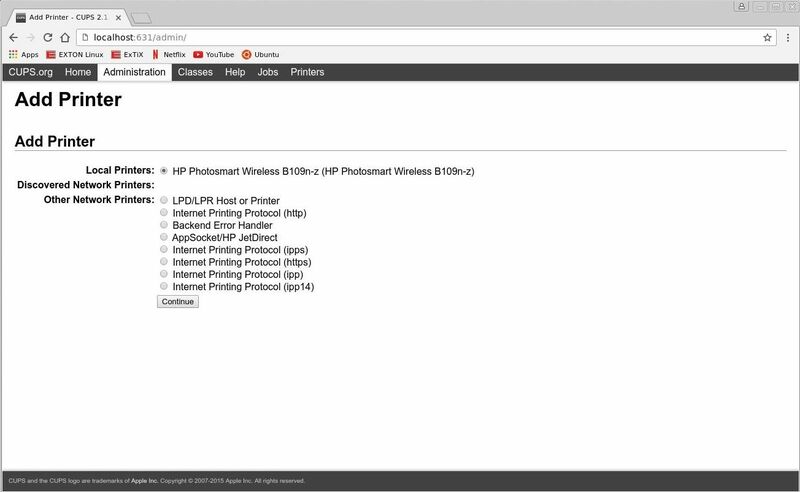 Your computers will be listed (if the network is named workgroup). You can use the Refracta tools (pre-installed in ExTiX 17.5) to create your own installable Ubuntu 17.04 Live DVD once you have installed ExTiX to hard drive. I mean change everything and then create a whole new Ubuntu live system. Start Refracta from Menu >> System >> Create a live CD snapshot of your system. You don’t even have to install ExTiX to hard drive before you can use the Refracta tools. If you have plenty of RAM you can create a new (your own!) 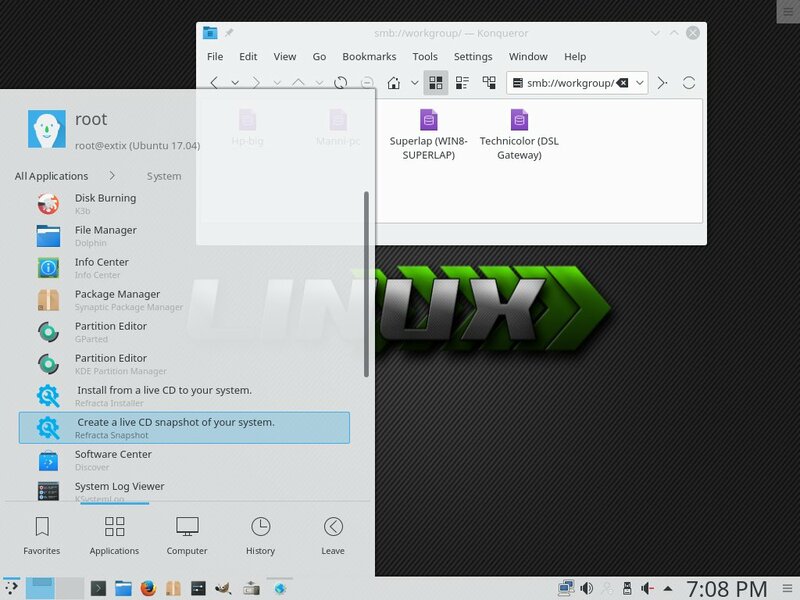 Ubuntu system while running ExTiX from DVD or a USB stick. Please note that the whole Refracta process (creating your new ISO) will only take 5 – 10 min! You’ll find the ISO in /home/snapshots. The whole thing is very simple. Watch a slideshow showing how easy it is to use Refracta Snapshot. 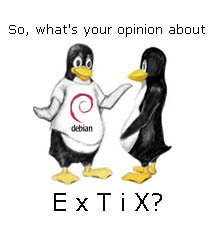 Download ExTiX 17.5 from SourceForge.net – Fast, secure and free downloads from the largest Open Source applications and software directory.